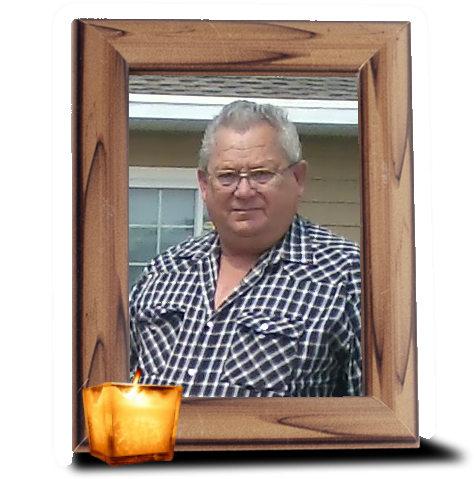 Obituary for David L. Mindak | Wiesner & Massart, Inc.
David L. Mindak, 73, of Casco, WI, passed away on Saturday, January 12, 2019. He was born March 28, 1945 to the late Peter and Wanda (Malczewski) Mindak. On April 27, 1968 he married the love of his life, Judy Jandrin at St. Peter's Catholic Church. David enjoyed reading, word searches, hunting, woodworking, slow pitch softball, stock car races and polkas. David served his country as a member of the US Army. David is survived by his wife of 50 years, Judy; his children, Stacey (special friend Dave) Mindak, Melissa (Jeff) Van Pay, Brandon Mindak, Lynette (special friend Kevin) Mindak, Chad (fiancé Courtney) Mindak, Travis Mindak; grandchildren, Jonathan Burkart, Jocelyn Van Pay, Christian and Colton Mindak; mother-in-law, Grace Annoye; sister, Josie (Bob) Kanzenbach; sister-in-law, Christine (special friend Tim) Wade; brothers-in-law Terry (Elaine) Jandrin, Gary (Janet) Jandrin); and many nieces and nephews. He was preceded in death by his parents; father-in-law, Clarence Jandrin; brother, Joseph Mindak; niece Amanda Wade and nephew Derek Jandrin. A visitation for family and friends will be held at St. Peter's Catholic Church in Lincoln from 9-11 am on Wednesday, January 16, 2019. Mass of Christian Burial will follow the visitation at 11 am with Fr. Edward Looney officiating. Burial to follow in the church cemetery. Wiesner & Massart Funeral Home - Casco is assisting the family. Online condolence messages may be shared at www.wiesnermassart.com. David's family wishes to thank the Casco-Lincoln First Responders and Luxemburg Rescue.